Buttermilk pie is a custard-like pie. Originally from the United Kingdom, it is now a traditional pie of the southern United States. It is similar to, and sometimes confused with, chess pie but it does not include cornmeal. The basic filling consists of a mixture of sugar, butter, eggs, buttermilk and wheat flour. Variations on the recipe may include flavorings such as vanilla, lemon zest and nutmeg. Buttermilk pies are made with a pie crust. The filling is poured into the crust and baked until the mixture sets. The pie is best eaten at room temperature after being allowed to cool, but may be eaten either warm from the oven or after being chilled. I’ve been trying to tackle this profile for a long while now and although I’ve had many successful attempts, I feel this is the most accurate and tasty version. The simplicity is what I like about this recipe because it has a farther reach for DIYers and I hope it’s something a few of you might like to try. I feel all the flavor concentrates in this recipe are ones that most mixers will have in their arsenal, and if not, they might be ones they could think about trying. This recipe benefits from an extended steep time of 10+ days so that all of the components can meld together in a proper fashion. The pie crust consists of FA Apple Pie + JF Biscuit. The buttermilk consists of TFA Butter + TFA Whipped Cream. The custard filling consists of INW Custard + TFA Toasted Marshmallow. It’s thick, it’s buttery, it’s flakey and custardy. FA Apple Pie is a crazy accurate pie crust flavor. I use this as our main crust note and at this percentage it doesn’t bring any apple notes to the vape - just a thick, delicious pie crust to dump our pie filling into. JF Biscuit is an amazing support flavor. It adds some depth to our pie crust with tasty, buttery, cookie notes. It works beautifully in conjunction with FA Apple Pie. TFA Butter is delicious. I know this % seems a tad high but it is needed for the buttermilk that reverberates through our vape. The butter adds some serious weight and richness to our pie crust and filling. INW Custard is such a good flavoring. It’s one of my favorite custard concentrates because of its short steep time and it really is a nice blank canvas. Here we’re using it as our pie filling to bring eggyness, thickness, a mild vanilla note and a creamy butteryness that is much needed for our southern dessert. This is the backbone of our filling. TFA Toasted Marshmallow helps the body and mouthfeel of the vape. 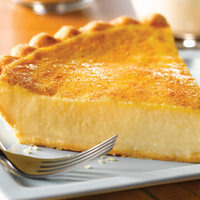 In conjunction with the custard it adds a touch of that caramelization on top of our custard and brings a nice sweetness to the “filling” of the pie. TFA Whipped Cream acts as the milky portion of the buttermilk that gives the vape a delicious, velvety and creamy mouthfeel. It helps blend everything together and solidifies the layers. I have to say you really nailed the buttermilk flavor on this. It's absolutely delicious and it's recipes like this that I'm always glad I make a 60ml just in case. I definitely look forward to mixing this again. Thanks for sharing it! Great recipe that is true to its name. It's a rich vape that's great to offset other lighter mixes in my rotation. Will remix. This recipe is magic! So happy I found this. Thanks for sharing! So I did mix this up as the recipe is written and I gotta repeat my original thoughts of wow 🤤🤤🤤 WOW!!! Off the shake after a week steep, this stuff is grrrrrrrrreat! 👍👍 Either biscuit will work, but JF us the better choice... It comes out light and flaky, while INW gives off a lil different note (maybe heavier) but does keep you coming back and back and back again for more! This will be a forever keeper recipe. One again excellent job! this is really great. i didn't wait to let it age, i made 30 ml last night, vaped it first thing morning- about 10 hours later. it's excellent- the crust is perfect, buttery and light, but not covered up by the creams. the buttermilk part of this recipe- tfa's butter and whipped cream- is a master stroke here. really lovely mix that i was interested in immediately, and am so glad i mixed up and tried. this will be a repeater for me. thanks for sharing!